16" x 12" stretch canvas in oils. 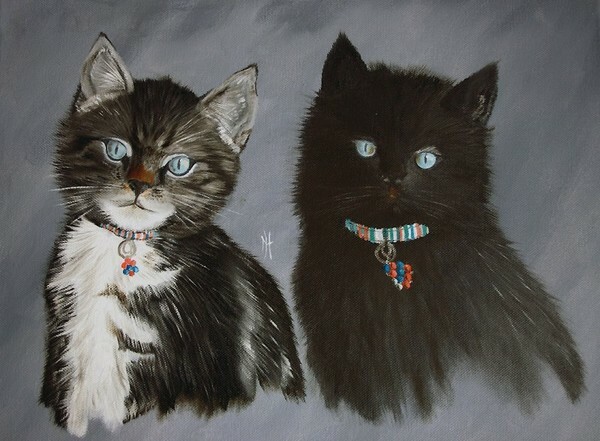 This is a painting done of our two new kittens Oscar (black boy) and Disney (tabby girl). They are so cute! Nice painting! Artist Reply: Thank you Marika...they are even better in person, such great manners. Fabulous.! You have a gift painting fur. It looks so soft. They are so cute!